When the financial crisis erupted in 2008, thousands of people lost jobs they thought they'd always have to sustain their standard of living. For H. J. Chammas, it was a wakeup call to escape struggling to make ends meet. It was time to take charge of his life and stop acting like a lab rat following a set program. 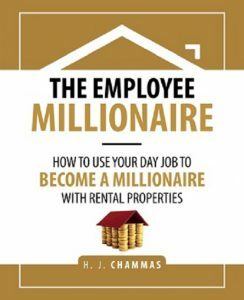 Chammas shares real-life examples that will help you build a personalized investment blueprint to build your rental property portfolio and become wealthy. From identifying and closing deals, getting approved for loans, renting out properties, dealing with tenants, and capitalizing on opportunities, this book will challenge how youv'e always looked at life, finances, investments, and real estate.